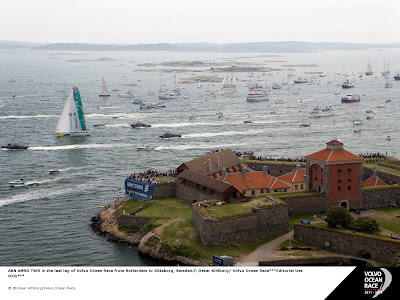 The Swedish city of Gothenburg will be the final stop on the route for the 12th edition of the Volvo Ocean Race in 2014-15 and will also feature in the 13th edition under a two-race deal presented on Friday. 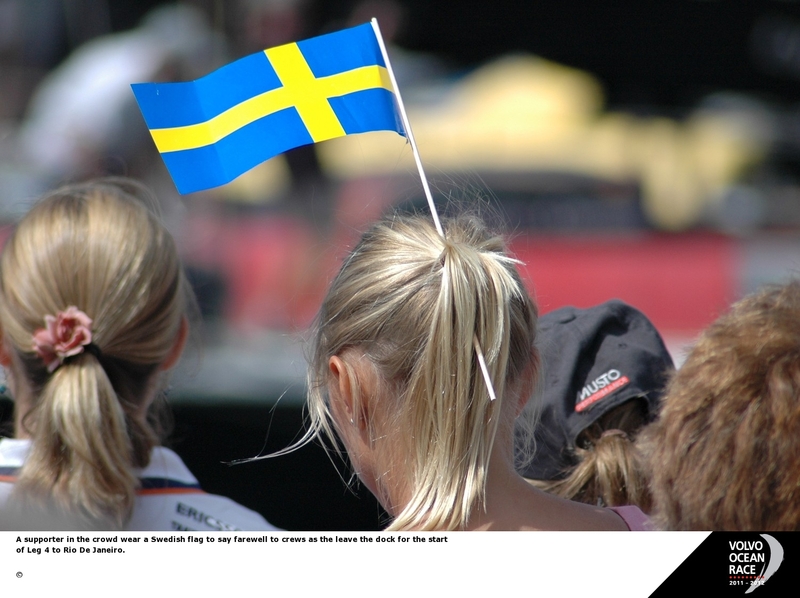 Gothenburg is Sweden's second largest city, Scandinavia's largest port and has a well earned reputation for hosting major sporting events. 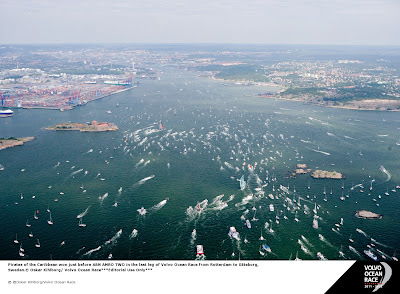 2014-15 will be the third time Gothenburg has hosted the Volvo Ocean Race and the second time it has staged the finale, following the success of 2005-06, when ABN AMRO ONE sailed into the port as overall race winners. "Gothenburg is the perfect place to finish a global event of this stature," said Volvo Ocean Race CEO Knut Frostad. "It's great to know that after sailing tens of thousands of miles around the world we'll be coming to a Host Port with all the facilities and knowhow to make this a great event, and the history to make it feel like a real homecoming. "We are looking forward to working closely with Gothenburg to make this the best finish we've ever had." Gothenburg, the headquarters of event owners Volvo, hosted the Volvo Ocean Race in 2001-02 and again in 2005-06 and has also staged the World and European Athletics Championships (1995 and 2006, respectively), as well as the World Figure Skating Championships (2008) and the final of the European Soccer Championship in 1992 among major events. The European Indoor Athletics Championships take place in the city in March 2013. "The stopovers we've had in Gothenburg have always been amazing," said Frostad, who announced the two-race agreement alongside the Mayor of Gothenburg, Anneli Hulthén and the CEO of Gothenburg & Co, Camilla Nyman at the Gothenburg Boat Show on Friday. "I particularly remember 2002 when there were so many people out there you could walk on the water from boat to boat." “Volvo Ocean Race is a world-class event and the city of Gothenburg will now strengthen its position as one of the leading event cities in northern Europe”, says Anneli Hulthén, Mayor of Gothenburg. The city of Gothenburg on the west coast of Sweden is the fifth Host Port on the 2014-15 route to be revealed so far. The 12th edition of an event that began life in 1973 as the Whitbread Round the World Race will start from Alicante in Spain and call first at Recife in north east Brazil. Later in the race, the teams will visit Auckland in New Zealand before rounding Cape Horn for a second Brazilian stop in Itajaí. Further port announcements will be made over the coming weeks. Sweden in the Volvo Ocean RaceSweden has a proud history in the Volvo Ocean Race, with Gothenburg, Marstrand and Stockholm all having staged the race and two boats – EF Language in 1998 and Ericsson 4 in 2009 – having won under a Swedish flag. Magnus Olsson, a race legend, is one of several sailors to have competed in six editions of the race. The all-female Team SCA, backed by the Sweden-based global hygiene and forest products company, were the first team to announce an entry for the 2014-15 race, which will be contested by new One Design Volvo Ocean 65 boats. A second team backed by the Brazilian state of Pernambuco was announced last month.